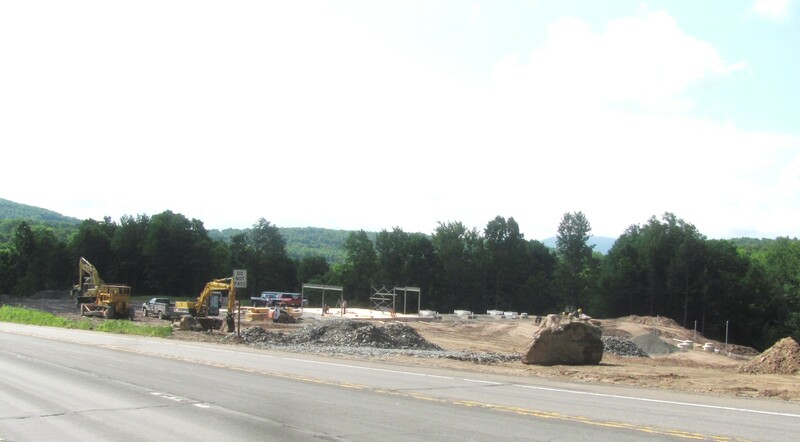 Construction is moving along for the new D&C Fuel Sales truck plaza in Washington Township, Wyoming County, where an entire hillside has been rebuilt to accommodate the business. 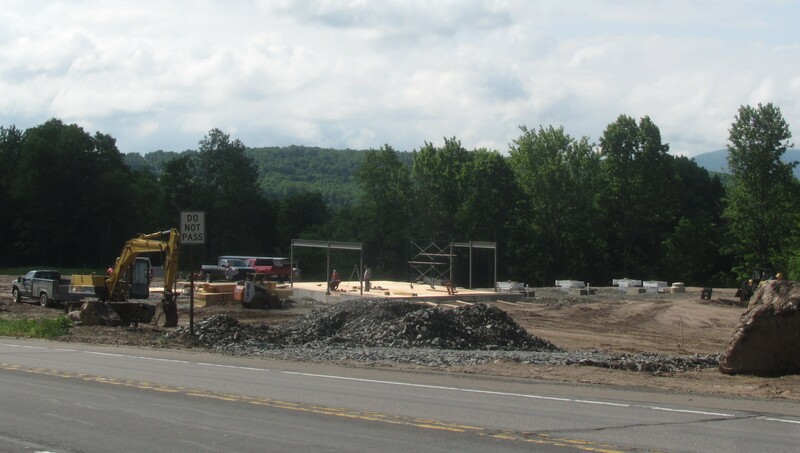 A wooded lot along Route 6 west of Tunkhannock in Washington Township has been dramatically transformed since 2013. The trees are already a distant memory, and the steep embankment that escalated to the creek below has been built up with enormous stone blocks. The high bank that initially hindered the view of all that was going on has since been drawn back to level off the plot of land that will become a truck plaza, gas station, and mini mart. According to Kelly Keller, the likely name for the new business will be D&C Fuel Sales to keep in line with the home fuel delivery service owned by her husband, Craig Keller, and his brother, David Keller. Craig has done all of the excavating on the site, where large fuel storage tanks were buried last month and the frame of the store is now taking shape. “We will be selling diesel and gas there,” Kelly explained. The gas will be in front, and the diesel will be behind the store to keep cars and trucks from having to share too much of the egress and ingress roads. Food items, including hot sandwiches, will be available in the store, as well as coffee and a selection of beverages. Kelly acknowledged that traffic patterns on Route 6 will be modified to accommodate turnoff lanes from both the east and west. The bank to the west of the site needs to be built up yet to provide for a turnoff lane long enough to allow for trucks to slow down as drivers descend the hill. She was unsure of the planned configuration for the turning lane from the east. The Kellers had initially hoped to open the business in August, Kelly related, but as with any large endeavor, the date could be pushed into September or October.